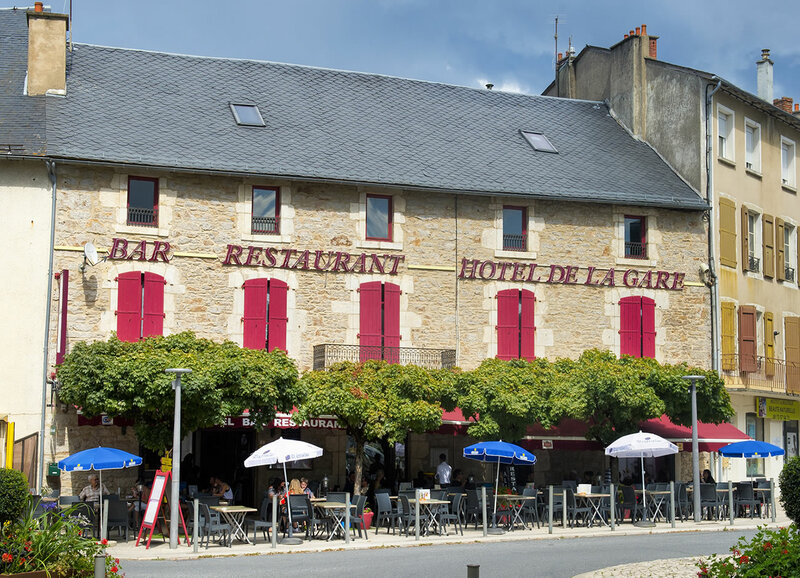 Laure’s team welcomes you in a lovely typical hotel dating from the early twentieth century, in the heart of the village. Across the street, you will easily leave your car at the public outdoor parking to discover the peaceful Severac. 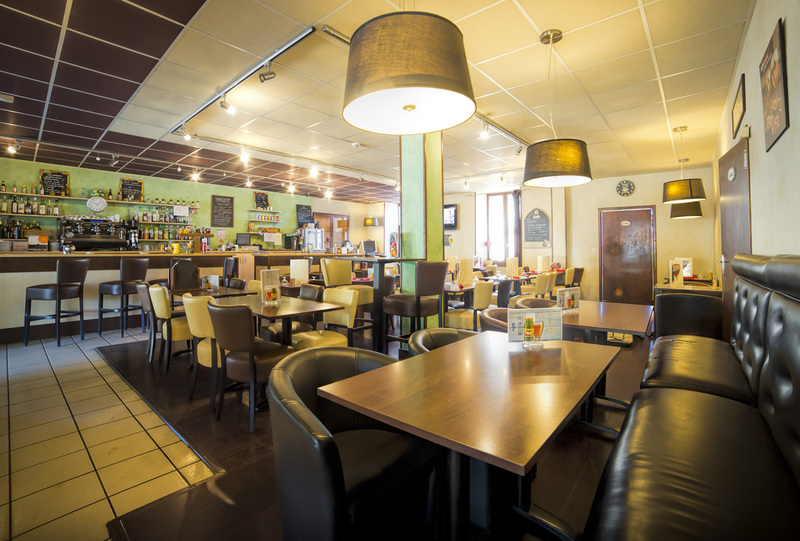 To stay connected, Wi-Fi is available from the bar, the restaurant and in all hotel’s rooms, as well as a laptop, for rent. We hope to see you soon for the most enjoyable stay. We are open seven days a week, from 7 am, at noon and night. Annual closure the 25th December and 1st January. Our hotel can host 23 guests, offering 9 quiet and sunny rooms, including essential facilities : TV, clock-radio, a bathroom with shower and WC. Pets are welcome, with an extra charge of 2€. 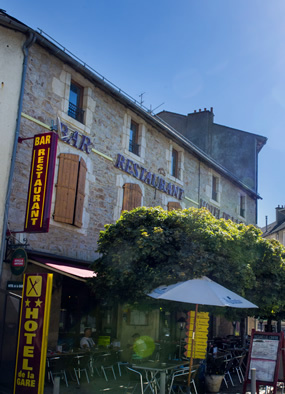 Our restaurant is greeting you every day, to enjoy traditional specialities : Aveyron made « charcuterie », duck confit, « tripoux », Aubrac’s famous « aligot » and steak Pavé de bœuf, Roquefort cheese, sweetbread… Open from 12am to 2 pm, and from 7pm to 9 pm. In season, opening hours can be extended. Our bar is open all year long from 7 am, with a large choice of ice creams, cold an hot drinks all day long during touristic season. 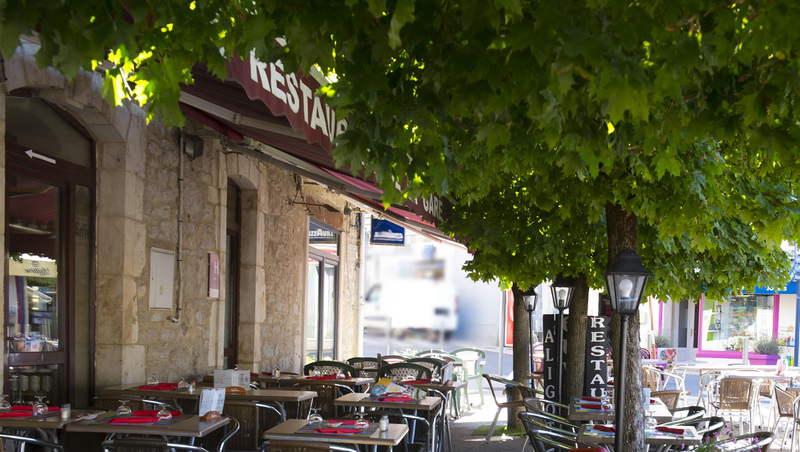 When the weather is nice, Laure's team invite you to have a relaxing moment, sitting under the shade of our four big mapple trees : the best way to enjoy our local and typical cuisine. Our terrace can host 90 guests. The bar, the restaurant, and the hotel are connected to the Wi-FI.